Speaking at the United Nations General Assembly, Venezuelan President Nicolas Maduro rejected interventionism and recalled that his country has given birth to one of the world’s most important independence leaders, Simon Bolivar, who led wars against the Spanish colonialists in several countries in the region. 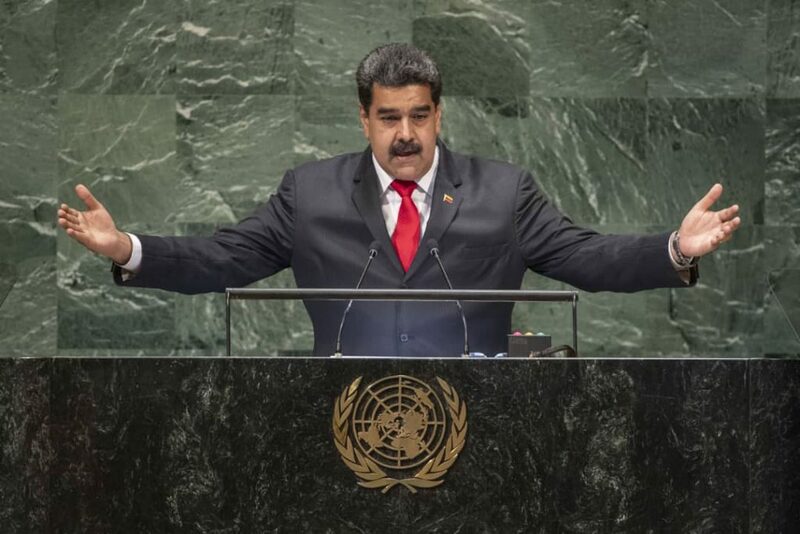 “I bring the truth of a country that has not surrendered, a historic people that resisted colonial empires in centuries past, I bring the voice of a people who have the honor of being the birthplace of the Liberator Simón Bolívar,” Maduro said addressing world leaders attending the 73rd UNGA session. Maduro also touched on the subject of the terrorist attack he survived in August with drones and explosives and how the perpetrators had links to U.S. allies. The Venezuela leader also spoke of the recent media report about a coup attempt plan against his socialist government. On Sept. 8, the NewYorkTimes published evidence that links U.S. officials in the planning of a coup against the government of Venezuela. He also extended his solidarity to the Palestinian people and their struggle against Israeli occupation and abuses as well as their fight for statehood. Earlier in the day, Maduro said via Twitter he was landing in New York for the United Nations General Assembly. “I come to the General Assembly of the United Nations to defend the truth about Venezuela, to bring the voice of our country,” the president said on Twitter, in a video from the plane. The news comes hours after U.S. President Donald Trump said Wednesday he would be open to meeting his Venezuelan counterpart as a response to Maduro’s invitation a day earlier during a speech in Caracas. Maduro met several world leaders on the sidelines of the UNGA including Iranian President Hasan Rouhani in which the two leaders spoke about bilateral ties and issues related to solidarity among countries in the Global South. He also met the Jamaican Prime Minister and the Russian Foreign Minister Sergi Lavrov who are also attending the UNGA.